﻿Dion Buhagiar studied music professionally at the Royal College of Music in London 1968-1970 where he graduated with the ARCM in organ (the first Maltese to do so in organ). Between 1974-1979, Dion Buhagiar read for the Mus.Bac. and B.Ed. degrees at the Faculty of Music and Faculty of Education, respectively, of the University of Toronto, Canada. It was here that he met some of the best Russian composers, performers, and conductors - who came to start a new life in the free world. It was also here that he perfected his organ studies with Prof Douglas Bodle who was a baroque specialist as both a continuo expert and an International interpreter of the baroque repertoire, especially, J.S. Bach. During 1985-1988, Dion Buhagiar earned the Master of Music degree on a Commonwealth scholarship at the University of Western Ontario, London, Canada. Here he continued to specialize in Theory and Composition, the Saito School of Conducting, Mozart's Opera, and Organ Interpretation on the 3-manual and full pedal Baroque Organ(same design as the J.S.Bach Leipzig organ) which was available in one of the main concert halls at the Music Faculty. In 1997-2000 Dion Buhagiar worked on a musicological project for his PHD (with specialist professor Floyd Grave of Rutgers University, New Jersey, U.S.A.) on the theoretical Compositional Treatises of the Maltese classical composer, i.e., il Musico Pratico by Francesco Azopardi (1748-1809). 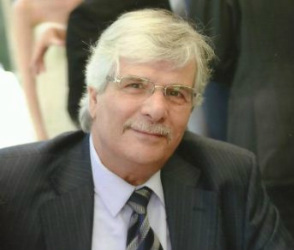 Dion Buhagiar is a professor of music and he was active at the University of Malta for more than 30 years and Head of the Music Studies Programme for more than 15 years. He is also currently the Maestro di Cappella of St. Paul's Cathedral, Mdina and St. John's Co-Cathedral, Valletta, where he is also the principal organist. As a Maestro di Cappella, Dion Buhagiar composed a large number of liturgical works for the innumerable services at the two maltese cathedrals such as Masses, Psalms, Motets, Te Deum and whole sets of Vespers. He has also composed four large-scale Oratorios ( of which he conducted three in public performances ). In 2012-13 he composed an Opera i.e. 'Il-Ħarsa ta' Ruzann' on a play by Francis Ebejer.